This functionality is in preview but is available to all accounts. Partner Connect lets you easily create trial accounts with selected Snowflake business partners and integrate these accounts with Snowflake. This feature provides a convenient option for trying additional tools and services, and then adopting the ones that best meet your business needs. Support for additional Snowflake partners is planned. Snowflake does not determine/dictate the conditions or terms (trial length, supported features, etc.) for partner trial accounts; these policies are set by each Snowflake partner and vary according to the partner. For details about a specific trial, please contact the partner directly. To use Partner Connect, you must switch to the ACCOUNTADMIN role or contact someone in your organization who has that role. In the Snowflake web interface, select Preferences » General from the dropdown menu next to your login name. The Preferences page appears. In the User Information area, add or verify your email address by clicking the appropriate link(s) in the Email Address field. Log into the Snowflake web interface. Click the dropdown menu next to your login name » Switch Role » ACCOUNTADMIN to change to the account administrator role. Click the Partner Connect tab. The Snowflake Partner Connect page opens. To read a description of an application and its requirements, click on the corresponding partner button. Click the Connect button below the partner description to initiate creating a trial account with the partner and connecting the partner application to Snowflake. 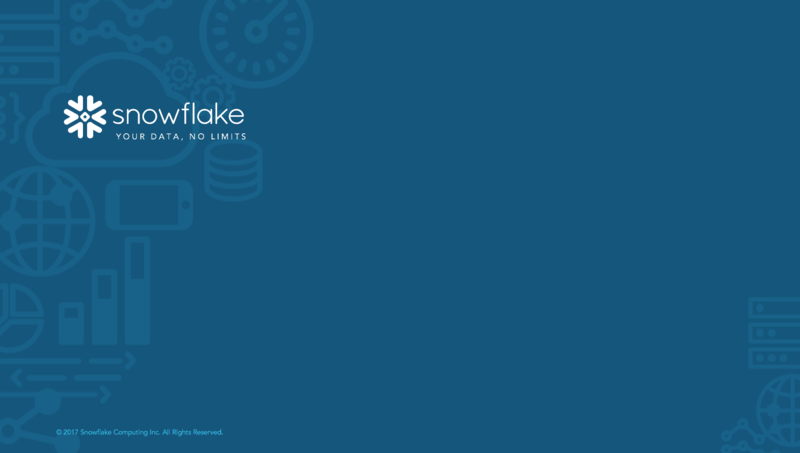 Note that connecting a partner application with Snowflake automatically creates a set of related objects in Snowflake, including a database, warehouse, default user, and custom role. The partner application uses these objects when reading from or writing to your account. Role PC_<partner_name>_ROLE The PUBLIC role is granted to this role, which enables the role to access any objects owned/granted to the PUBLIC role. In addition, this role is granted to the SYSADMIN role, which enables users with the SYSADMIN or ACCOUNTADMIN role to also access any Snowflake objects created for partner application access. This set of objects is created to establish a quick, convenient setup. If you prefer to use existing Snowflake objects instead, you can update the preferences in the partner application to use those objects. In addition, an account administrator can change the generated password for the user object using ALTER USER. To enable access objects owned/granted to other roles, grant the other roles to PC_<partner_name>_ROLE. Partner applications may include automated features such as dashboards that run on a schedule and consume compute resources. We encourage you to read the product documentation for a partner application and to monitor usage of the warehouse created for the application (i.e. PC_<partner_name>_WH) to avoid unexpected Snowflake credit usage. If you use Network Policies to restrict access to your Snowflake account based on user IP address, you must whitelist the partner IP addresses (i.e. add them to the list of allowed IP addresses for the active network policy for your account). For detailed instructions, see Modifying a Network Policy. Alooma Various See the Alooma Support site for the addresses. Fivetran 52.0.2.4 For more setup details, see the Fivetran Documentation. Periscope Data Various See the Periscope Data Documentation for addresses. Stitch Various See Stitch Documentation for addresses. After a partner application is connected to Snowflake, click the corresponding button on the Snowflake Partner Connect page. Click the Launch button to open the partner application web site. Click the user menu » Switch Role » ACCOUNTADMIN to change to the account administrator role. Click on the button for the partner application you are disconnecting from. Note the names of the database, warehouse, system user, and role objects created for the partner application. Use the corresponding DROP <object> command to drop each of the objects created by the partner connection. Contact Snowflake Support to stop the partner account trial and remove the checkmark from the Partner Connect button. If your organization already has an account with the partner, initiated either with the partner directly or using Partner Connect on another one of your Snowflake accounts, initiating another trial account might fail with a message that a connection already exists. In this case, the trial for this account must be initiated directly through the partner.